The Sixt Limousine Service offers a chauffeured limousine service worldwide. Be picked up straight from your private plane, enjoy a sightseeing tour of the city, or arrange transport for large events – e.g. Fashion Week, Berlinale, G20. As Germany’s first limousine service, the Sixt Limousine Service has more than 100 years’ experience in organising and carrying out chauffeured rides. 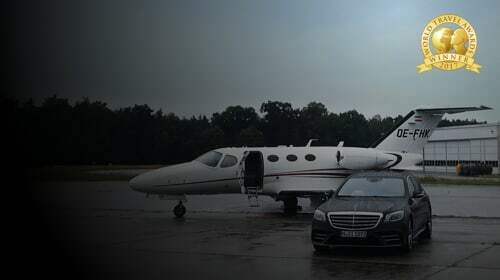 Our service boasts one of the largest fleets of premium limousines and a database of chauffeurs all around the world. Whether you are a business traveller, travel agent, attendee, or organiser, you can rely on our experienced team. Our team are happy to fulfil any personal requests – just get in touch! All of the services offered by the Sixt Limousine Service are carried out exclusively by professional drivers. Both our limousines and chauffeurs are subject to the strictest controls. Whether you are on holiday or travelling for business, Sixt has a limousine for all occasions – from our practical economy class through to our exclusive VIP category with complimentary champagne. On request our team can offer much more than just a standard chauffeur service. Enjoy tailor-made sightseeing tours, with individualised additional services and all round support also available. Our experienced team of managers, dispatchers, and chauffeurs will coordinate your different routes, travel times, venues, and any other requirements. The Sixt Limousine Service offers intensive support, including a personal contact person, to help with managing schedules and controlling costs.